Your destiny is in your hand. Win it or leave it. If you think yesterday dreamed about driving a luxury car or picking up a gold coin at a random street floor then you are better signing up for Magnum Gold contest. That was a hint from higher power that you have a fair chance to win this. Every challenge has a price to pay, what are the price for this ?? The trick in winning something from this contest is go to nearest store and find newly released Magnum Gold ice-cream. If you found it in that store ice-cream section inside the refrigerator that means you are lucky. 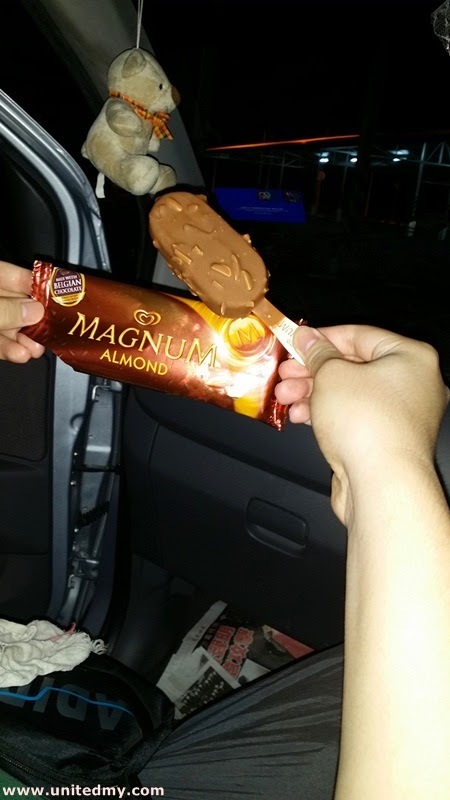 Magnum Gold was not widely available and some of the contest participants have to seek it at multiple stores for it. Let say you found it more than 3 Magnum Gold in that store refrigerator, you are the luckiest person among the Magnum participants. Fortunately, the store keepers and boss did not know this contest. That were their loss. This contest started August 1, 2014 till October 31, 2014. The full name of this contest is Magnum Gold Pursuit Contest. It is organized by Unilever (Malaysia) Holdings Sdn Bhd. Everything stated inside terms and conditions of this contest including everyone above 18 years old, a Malaysian residents are welcome to participate in this contest. After you bought the Magnum gold from the store, the next following thing is very crucial steps in winning this contest. Firstly, do not throw away the ice-cream stick as it should have containing some digits which you will need to key in Magnum Gold website. Secondly, visit Official Magnum Gold Pursuit Contest website and register your account with your Facebook account attached. Follow the instructions thoroughly and you are surely one of the winner in this contest. Everything is inside the website. Crack the vaults and collect points game should be easy to play. The ice-cream stick should not be disposed as it is a proof required when you have been picked as the winner by the judge at the end of the game. First attempt by the author in pursuing this contest. Bought Magnum Almond in hoping there were alphanumerical code. However, it did not turned up the expectation. The expectation is gone, the delicious chocolate ice-cream was cracking inside my mouth. Tasty & Yummy !